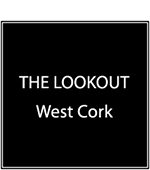 West Cork Bike Hire is located in Schull village. The Fastnet Marine and Outdoor Education Centre is located in Schull Harbour and runs sailing courses all summer. Schull has a weekly country market on Sunday mornings. An annual film festival has recently been instituted in Schull. Ireland’s only Planetarium, Schull Planetarium and Observatory, is in the grounds of Schull Community College. The Karycraft ferry from Schull takes visitors to Cape Clear Island and does evening trips around the Fastnet Rock. It can also do bespoke trips around the islands. Cape Clear Ferry – emara…..
Blairs Cove House is a Restaurant with Rooms and Accommodation located in Durrus. It is surrounded by 4.5 acres of lawns and gardens and a good venue for a special meal out. Schull taxis will take you there and collect you (Luke Nolan 00 353 (86) 833 7504 or 00 353 (28) 22 166). Durrus is also well known for its delicious cheese (Durrus). Dunbeacon Pottery and the Good Things Cafe (vegetarian deli and cafe) are well worth a visit. Bantry has a stunning 18-hole golf course with views over Bantry Bay. West Cork Music Festival in Bantry, held every summer. Skibbereen Heritage Centre has dispplays about the Famine and Lough Hyne and is a good rainy day activity. West Cork Hotel in Skibbereen. An old railway hotel, the West Cork has character and is a good place to go for lunch. Bantry Pony Trekking has a large selection of horses and ponies to suit all ages and abilities. West Cork Surf School in Incheydoney near Clonakilty. There is also good surfing and bodyboarding at Barleycove Beach. Manning’s Emporium is a famous gourmet food shop, deli and café in Ballylickey, between Bantry and Glengarriff. Well worth a visit. The Mizen Head Observatory Centre is a must see.